THEATRE TOKENS GB Ticket Gift Cards London, Local & Fast! UK Freephone token line open 10am to 8pm seven days on 0800 6125350 or for an express purchase direct via our 'one click' secure online form use the links shown. Orders for gift cards placed today, will be mailed tomorrow. Buying official nationwide Theatre Tokens here online, going to UK & Ireland addresses, incur no postage fee. Most other websites charge to send, over & above the total order value, we do not. Why pay for your delivery? With continuing unstable economy, times are still hard, so let us pay the postage for you (British Isles Only). Buy with confidence as a gift to enjoy now or anytime in the future, as no use by dates here! This tokens-online service was was first established in 1999 now celebrating 20 years. It all started with Book Tokens online, for which we were the very first. 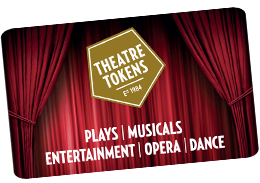 Theatre Tokens are the only multi-venue theatre gift cards which can be spent direct at the box-office of the theatre of your choice. Tried the rest? Now try the best. Here only, a world-wide postal delivery service is available for the Theatre Token Card. Whether London or Local these are the ultimate theatre gifts and now as a card, they can be redeemed easier, at around 250 venues throughout UK including one near you. Plus London and that's all Theatres in the West End (every show). These are the only ones with no expiry dates. Our theatre gift cards are not subject to a condition whereby they have to be spent with us, any other named agent, or within a specific timescale, giving you complete freedom of choice as to how, where and when you use them! Also exchangeable at - TKTS - the main Discount Ticket Booth in the centre of Leicester Square, plus tickettree.com and theatrebreaks.com also valid for qualifying purchases made with Ticketmaster. 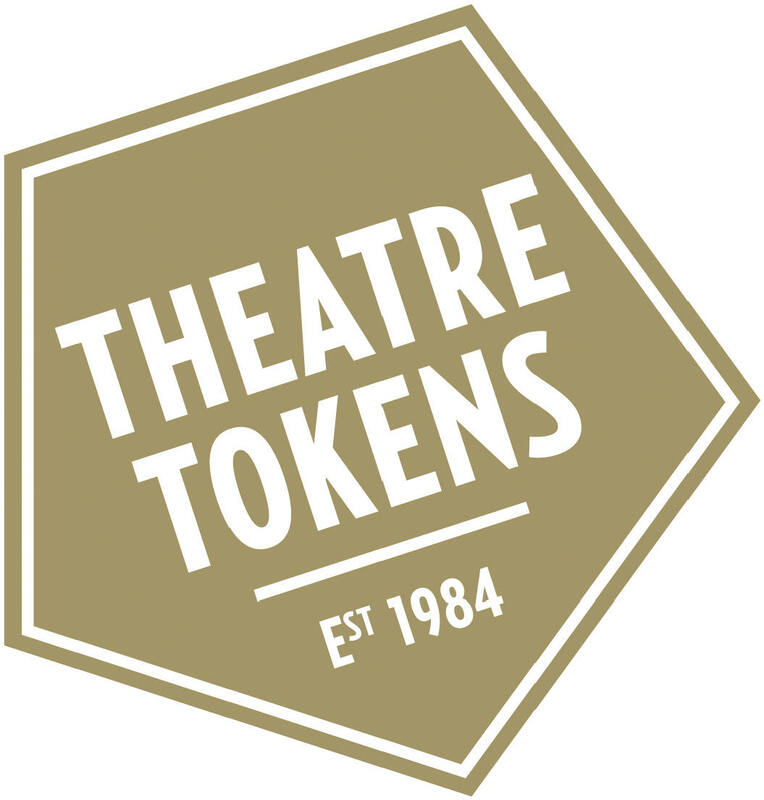 Theatre Tokens were created to actively promote UK theatre going nationwide and attract no fee / post or packing charges if purchased from this website - an exclusive offer made by us to you. Most other sites make a charge, but the only fees you will incur here, are for sending gift cards overseas, where we charge insured postage to you at a £5 flat fee worldwide. Although UK orders under £100 are sent by standard 1st class mail, if you would like to upgrade to Royal Mail Special Delivery on a lower value order (this will also ensure that your consignment is fully insured) we can do this also for a subsidised fee of just £5. Simply add this cost where indicated and also to your total transaction amount, when using our secure online payments page. Click HERE to see the full list of all redeeming GB venues that will currently accept these gift cards, along with their location, contact details and website address. Additional theatres are continually coming onboard, making these truly the best gift tokens available to buy (also they are the only ones for the theatre that have never expired). If you have the paper vouchers, which have now been discontinued, you can still use those too! Theatre Tokens first hit the market to a blaze of publicity in 1984 as paper theatre vouchers (those being still valid!) and are part of a non-profit making trade association, The Society of London Theatre (SOLT). Sent to you, or as a gift direct to the recipient with a dedication inscribed, these are presented with a superb free wallet, making an ideal choice for almost any occasion: CHRISTMAS, BIRTHDAYS, ANNIVERSARIES, WEDDINGS & CIVIL PARTNERSHIPS to name just a few and if our theatre gift cards don't fit the bill, we sell National Book Tokens too! Personal Bookings - visit the performance box office to book at any time of your choice, plus don't forget that you can redeem for tickets at all West End London theatres with TKTS DISCOUNT TICKETS BOOTH in the centre of London's Leicester Square (free standing clock tower building) - in person only allowed! Postal Bookings - write to the box office of the venue where you wish to see the show, enclosing your gift card or paper vouchers and give alternative performance dates if possible. If the price of the tickets exceeds the value of the tokens you have, please also enclose a cheque for the difference. Telephone Bookings - many places will accept reservations made by telephone. Please contact the box office for specific instructions. Some will hold reservations for a specified period, because they need to receive any paper vouchers by post or by hand - others require receipt of your Theatre Tokens before a reservation can be made. When telephoning about some productions, you may be put through to Ticketmaster who are able to accept reservations made with these national gift tokens. This will only be the case if Ticketmaster are the venue's preferred booking agent. Purchasing UK tickets, with or without gift tokens, anywhere except the theatre of the performance, will more than likely attract booking fees. TRANSACTIONS HERE ARE BY SECURE HOSTING, PREFERRED PAYMENT GATEWAY OF SAFEBUY, WHO ARE THE UK LEADING ACCREDITATION SCHEME FOR WEB RETAILERS. NATIONAL BOOK TOKENS ALSO: THIS SITE AND ITS ORIGINAL ONLINE BOOK VOUCHERS SERVICE, WAS FIRST FOR BOOK TOKENS ONLINE IN THE YEAR 1999. THIS SITE EXCLUSIVELY HAS A FREE UK INSURED FAST SPECIAL DELIVERY SERVICE, MINIMUM ORDER APPLIES. Theatre Tokens, a timeless gift they will really appreciate! 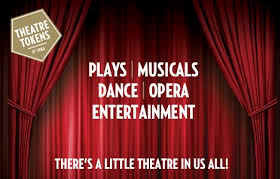 These gift cards are welcome at around 250 venues nationwide including all theatres in London West End. They are available freepost from this website and with no expiry date Theatre Tokens will be valid for years to come, so there are certainly no deadlines to have them spent by and time can be taken to enjoy this gift experience leisurely! Delivered in a special presentation wallet, your gift can be sent by us direct to the recipient freepost (UK only) with a handwritten message inscribed at no extra charge - this is all part of our personal mail-order service, soon to be celebrating 20 years. Always remember that these theatre gift tokens were created to encourage theatre going, with the revenue generated invested back into promoting UK theatre. 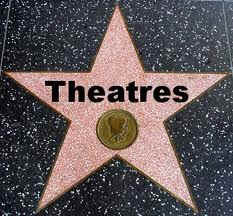 They are therefore the theatre industry's national gift card scheme for Great Britain and as not all theatre vouchers are the same, make sure you buy our official Theatre Tokens - the only cards that can be used nationally - the most flexible gift card for the theatre on the market today and the ultimate theatre gift from us here at The Token House. Theatre Tokens are accepted only in the UK and don't forget they have no expiry date, unlike the Ticketmaster gift vouchers which have. These national gift cards for the theatre, let you choose WHAT to see and where and WHEN you want to see it and are valid for a huge range of entertainment - from blockbuster musicals, side-splitting comedies and gripping dramas to glorious operas, hilarious pantomimes and classic ballets. The choice is entirely yours or the recipient's, so click on the link below to order NOW. Access here our Secure Ordering Form where the Theatre Tokens request and payment area can be found. Alternatively, please click onto one of the gift card values below to proceed. Dial : 0800 6125350 lines are open seven days from 10am until 8pm. This is a free 'phone number within the UK and includes mobiles! From overseas, please call our office on 0044 77 69 03 36 46.